This web-site is authored by The Martin Shaw Trust Archivist, poet and editor Isobel Montgomery Campbell. She is the daughter of Martin Shaw’s daughter Mary Elizabeth (1923 - 1977). Articles have been written using material from the Martin Shaw Archive and other sources. The Martin Shaw Trust is a courtesy title for the administration of royalties to the families of Martin Shaw's children Diccon and Mary Elizabeth, administered by Birketts LLP in Ipswich. 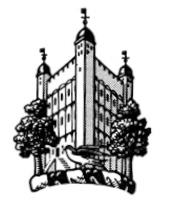 The crest used by the Martin Shaw Trust commemorates Martin Shaw in the coat of arms of the Choral Foundation of the Chapel Royal in the Tower of London. This coat of arms was presented by Shaw's widow in his memory; the design incorporates a house-martin and a group of trees or shaw. Bernard Quaritch has long been the leading dealer of rare and antiquarian books in London and around the world. Their Archive Department is run by Joan Winterkorn, who has placed the archives of most eminent writers, scientists and artists, including that of the publisher John Murray. Composer, conductor and writer George Odam is Emeritus Professor at Bath Spa University and a Fellow of the Guildhall School of Music and Drama where he was Head of Research and Staff Development until 2007. Nathan Waring has been Director of Music at Gresham's Prep School in Holt since 2007 and is a pianist, violinist and organist. In 2002, he founded The Castley Sinfonia, an orchestra for young people in Norfolk. As a Musical Director in the theatre, Nathan has worked alongside Ronnie Corbett, David Dimbleby and Griff Rhys Jones. In schools, he has written a number of children's musicals, and was asked by Stephen Poliakoff to prepare a choir for his film Glorious 39, which was subsequently filmed in North Norfolk.